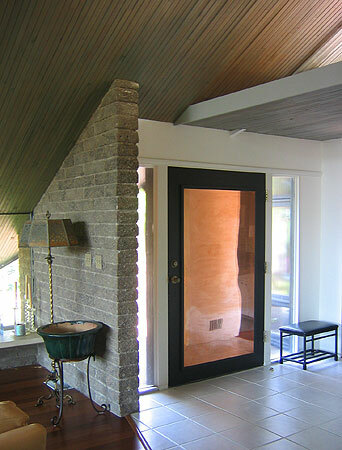 Bricks penetrate from the entryway into the great room, where the door has been paneled in a solid sheet of copper. Clear contrasts of materials lift the eye skyward to the impressive A-frame ceiling. 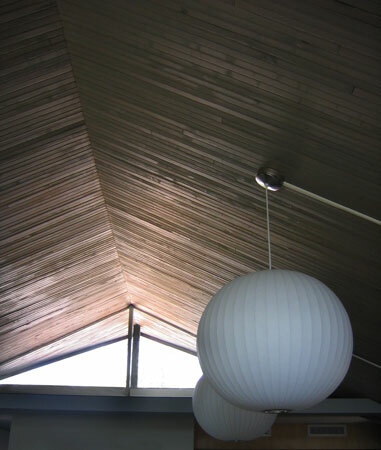 The ceiling is faced with local 2 X 4 lumber from Flagstaff, and is lightly washed with a desaturated gray-green paint that neturalizes the natural red of the wood. 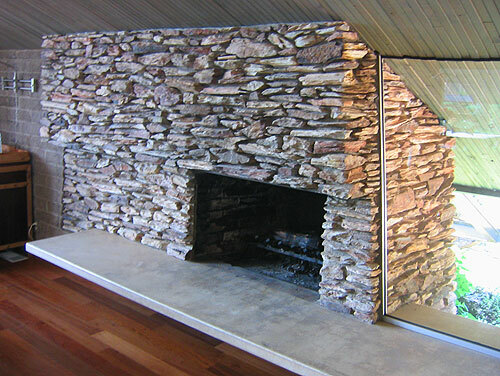 The end result is a semi-gloss finish that lets other colors in the home sing. Another indoor / outdoor intersection. The 45% angle is a feature and return we'll see later in the ARA Building in Phoenix.